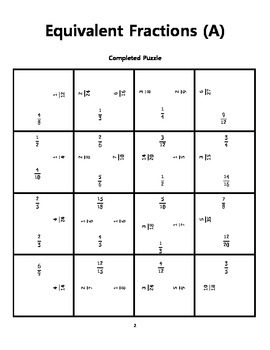 This product is two square puzzles that practice matching equivalent fractions. The students are given the puzzle pieces and either work individually or with a partner to match equivalent fractions (no pictures). The puzzles include challenging twists because there are a few fractions that have more than one match... The catch? The students' final assembled product should be a perfect square! 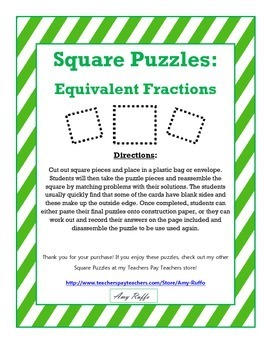 These puzzles make for an easy to prepare center, and even better, my students love them! 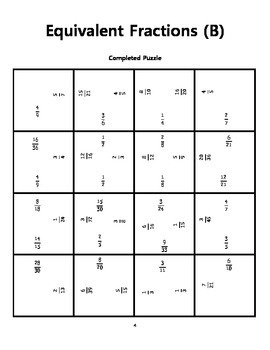 Scrambled and completed pages of each puzzle is included along with a student recording page.